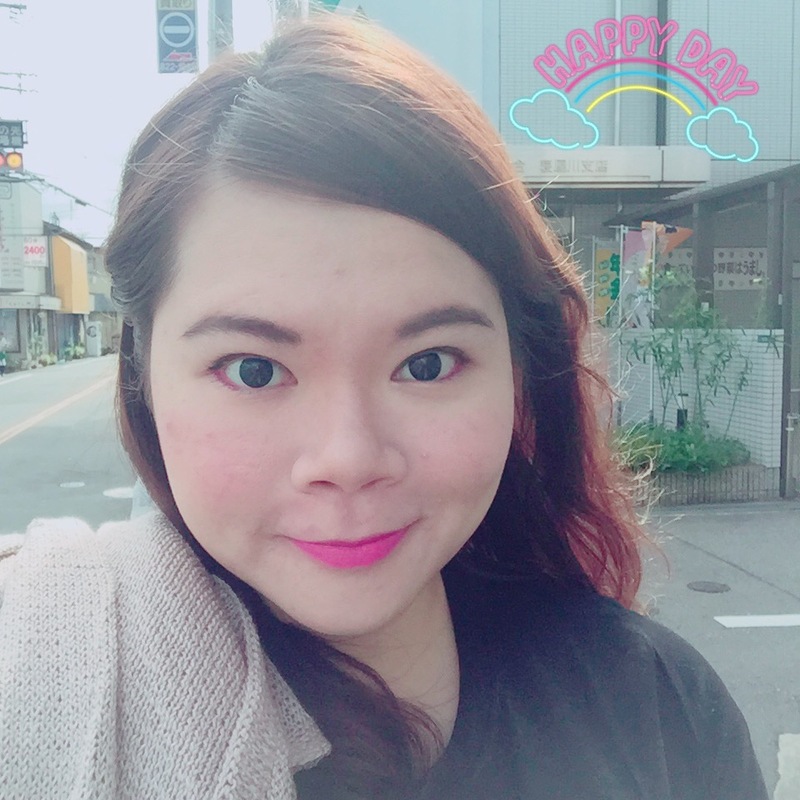 Here’s What I did in Osaka in a day! I flew to Osaka via Scoot during the end of September for 6 days and after deducting flight time and all, I essentially only have 4 days. So it’s important for me to plan my day properly to cover as many places as possible. There’s so many attractions in Osaka and you just have to take your pick depending on who you are travelling with. I know my travelling companions are more towards the shopping and eating type so I didn’t add in places like Umeda Sky Building or the Aquarium etc. And this is how I decided to spend my first day in Osaka! Ok, I’m just joking. Of course it’s more proper to start the day with a meal. 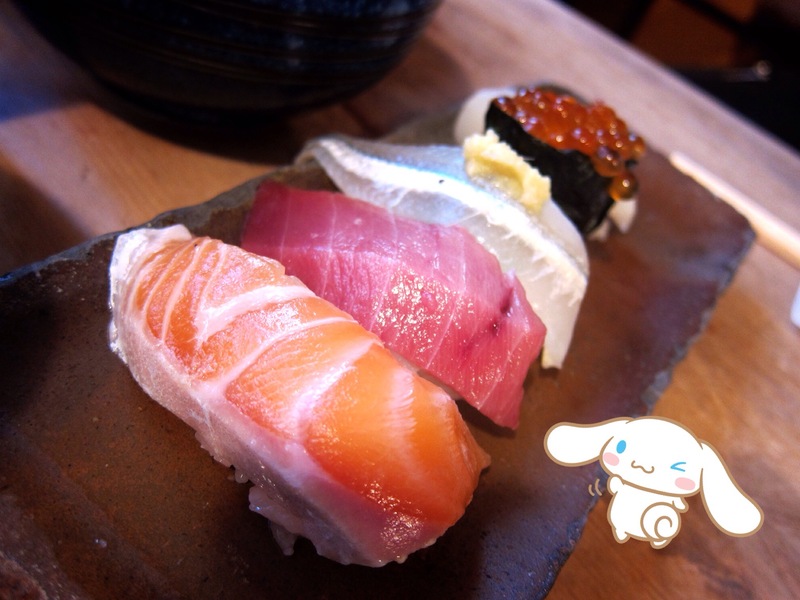 And for me, I decided to have a hearty Sushi Breakfast over at the famed Endo Sushi located at the Osaka Central Market at JR Noda. After having breakfast, it’s time for a little shopping! And the nearest choice would be Umeda that is filled with loads of shopping malls! 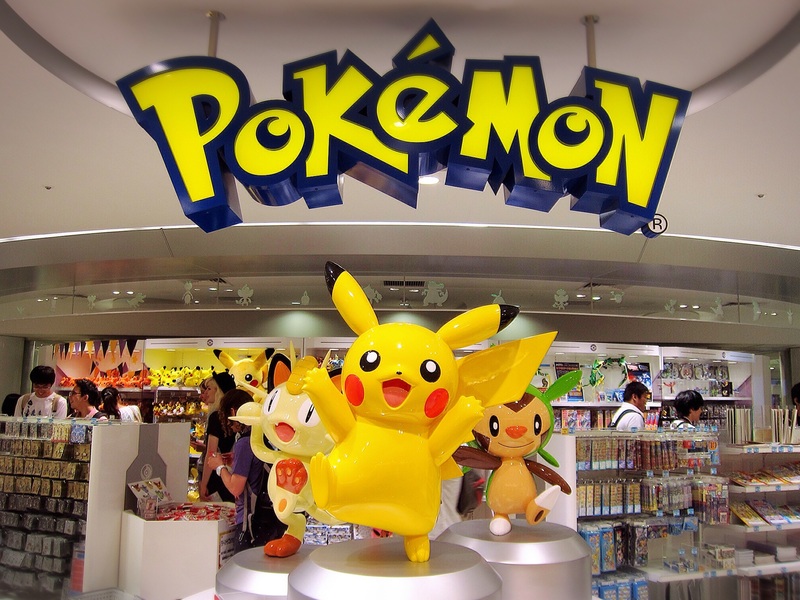 And the first place I was headed to is none other than the POKEMON CENTER!! Pikachu!!! 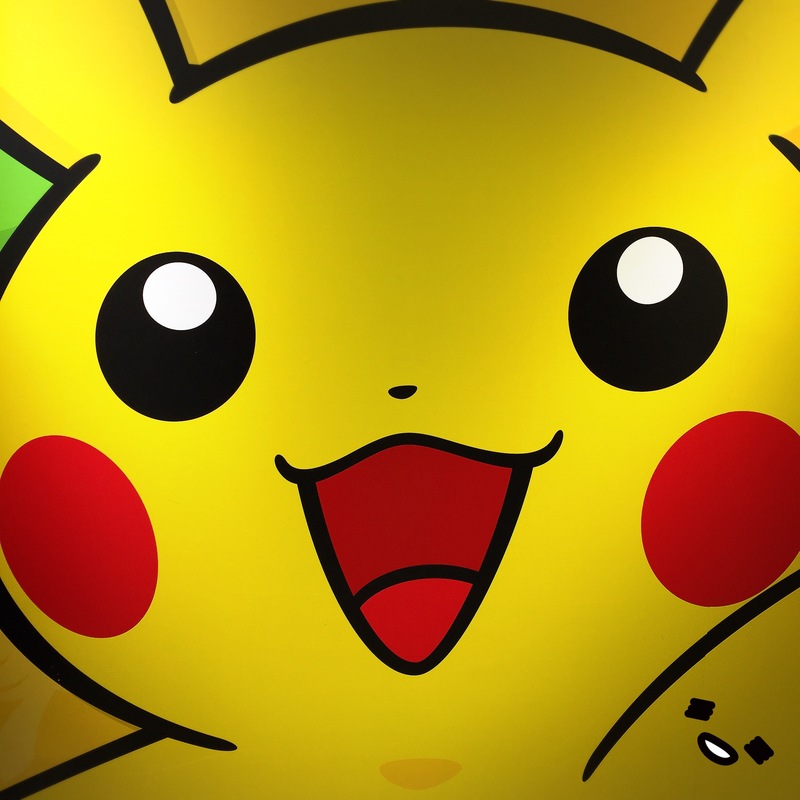 And more Pikachu! Awww!!! Too cute!! Did I mention that I brought home several Pikachu Merchandise too? Hehe. After spending time at a couple departmental stores in Umeda, I made my way to Kuromon Market located near Nipponbashi Station. 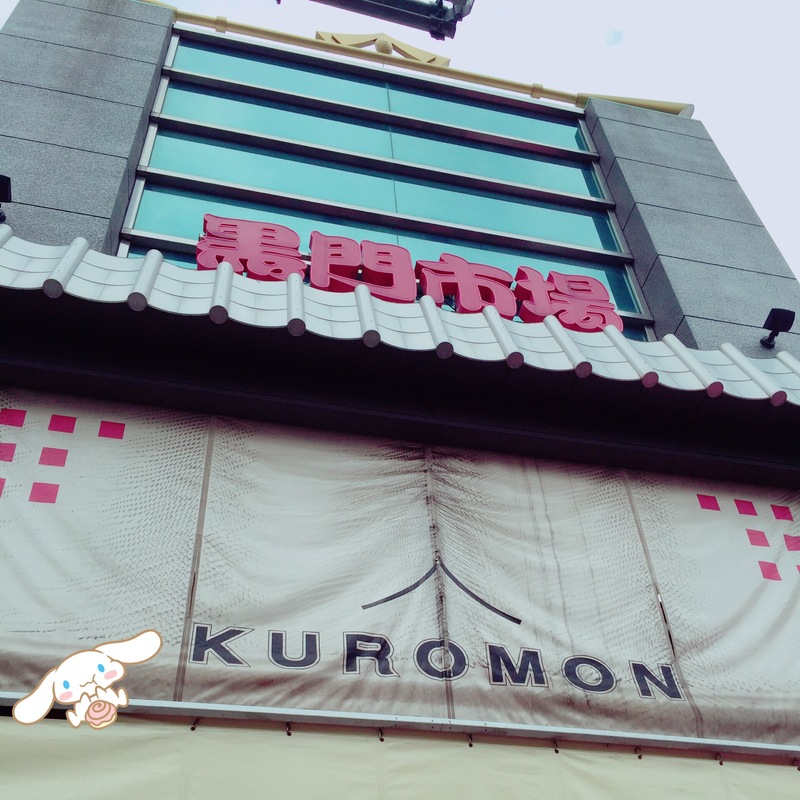 Kuromon is also known as Osaka’s kitchen and obviously it’s gonna be all about food again! But I would recommend to go early because when I reached there at about 4 plus nearing 5, about half the stores are closed or closing. When in Japan, you can’t go wrong with seafood. 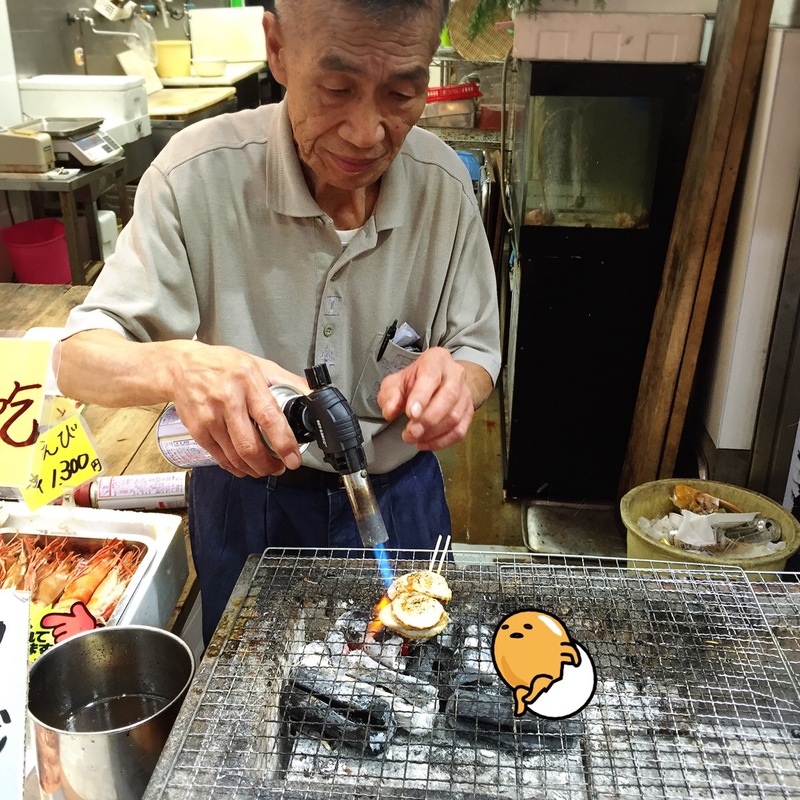 Check out this Ojisan searing my Hotate with the fire gun thingy! Two huge Hotate seared to perfection! I’m salivating as I’m typing this. 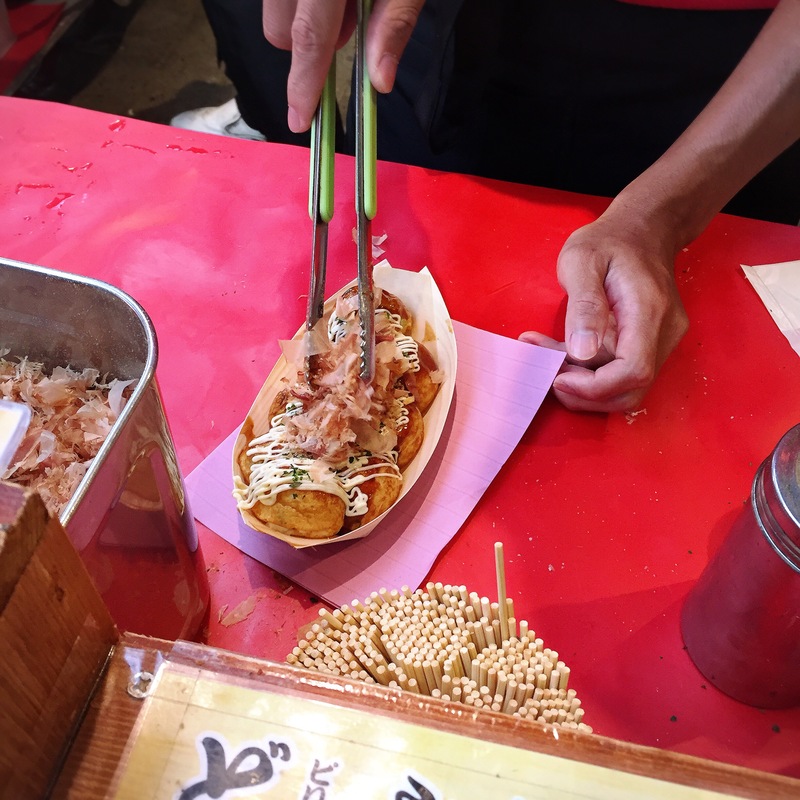 Of course, when we are in Osaka, Takoyaki is a must. This is the highlight of my Kuromon trip. 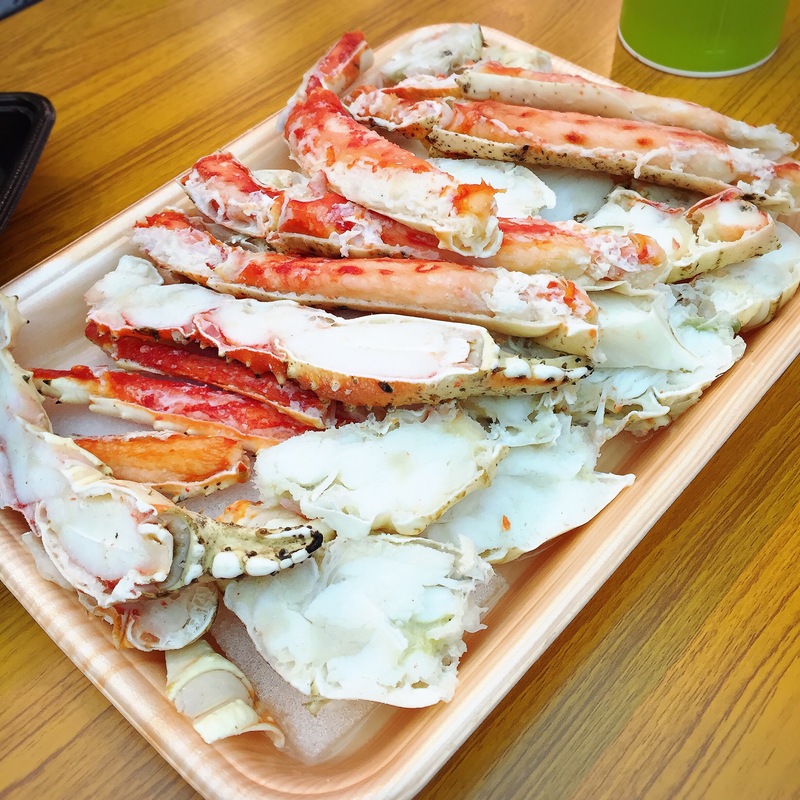 This plate of snow crab is about 5000 yen and it’s so good! Got to be the sweetest crab I ever ate. 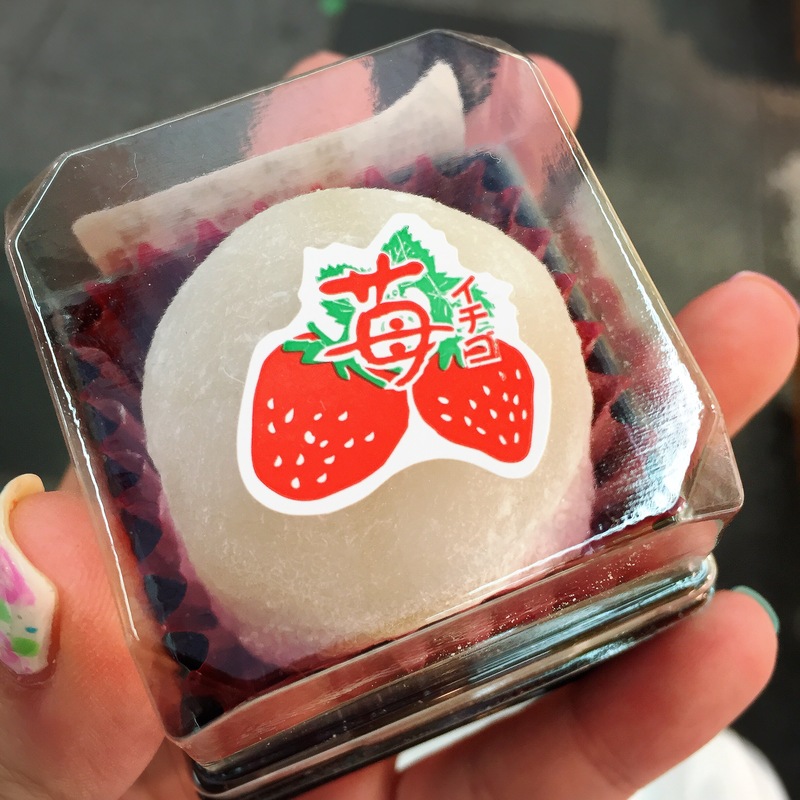 Ichigo Daifuku!! I’ve always wanted to try this but never got around to do so. 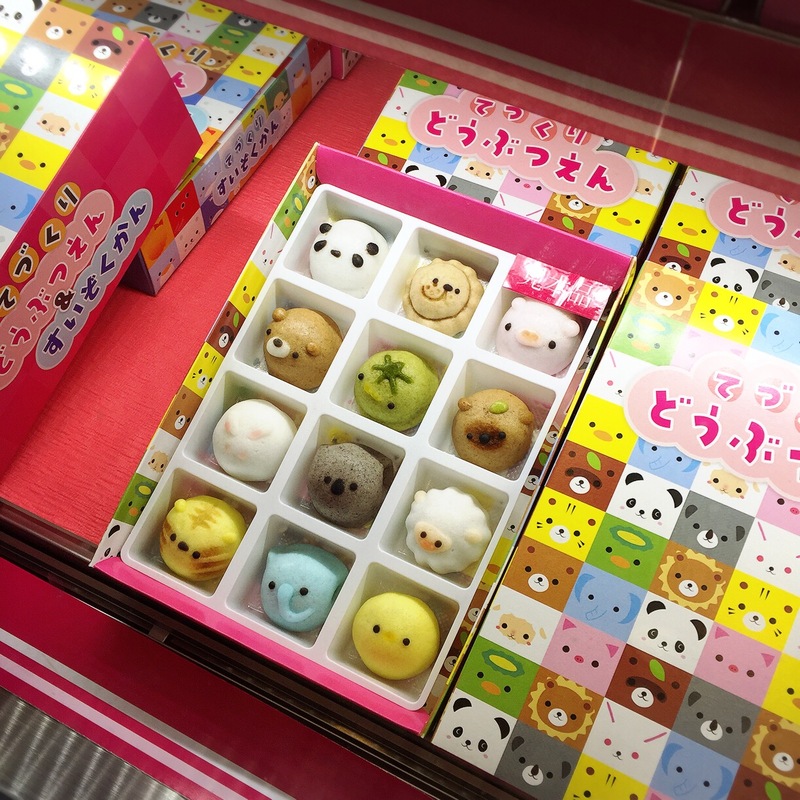 These are like freshly made and sold at one of the Sweets shop in the market. Super nice and the strawberry is sweet but not overly sweet! I’ve seen this Baby Octopus stuffed with quail egg on one of the blogs while doing my research and was so happy to find it. Bought one even though I was super full! Really good! If I didn’t already ate so much, I think I can at least eat 5 of these. The texture is just nice, not too hard and the taste of the egg goes pretty well with the marinated octopus. Nipponbashi where Kuromon is located is actually very near Namba. With the help of google maps, I made my way to Namba just by walking. 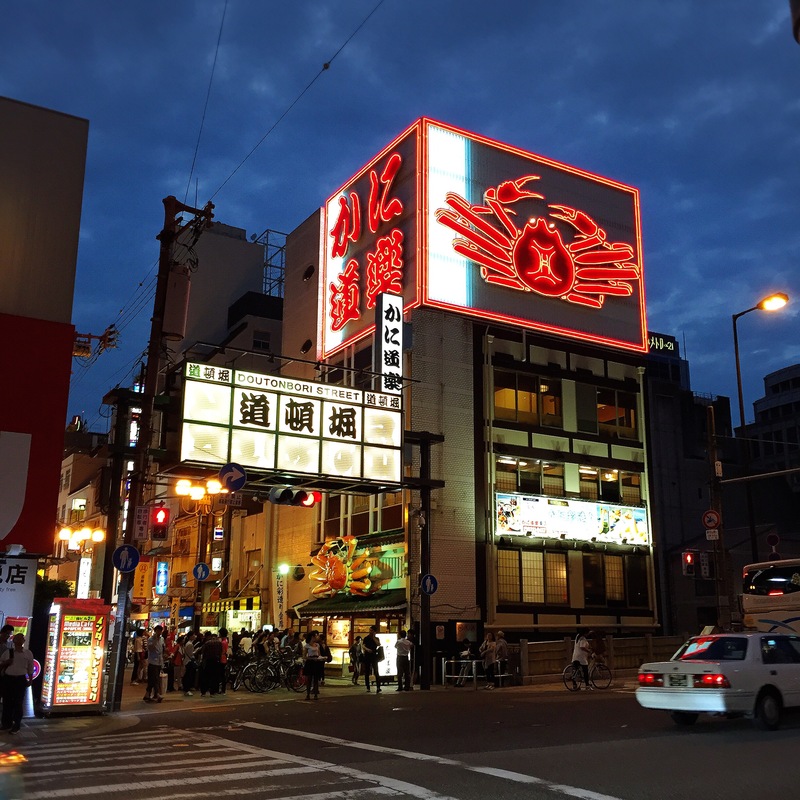 You know you are in the right direction when you see this huge crab sign which signifies the entrance of Doutonbori. And my main focus at Doutonbori is Don Quixote! See that tall signage on the right! That’s the Namba Don Quixote! Don Quixote is like the must go shopping place in Japan! They have everything from food to cosmetics etc. I bought a whole load of daily contacts there. 😛 Not forgetting the pretty view of the Osaka River at night. 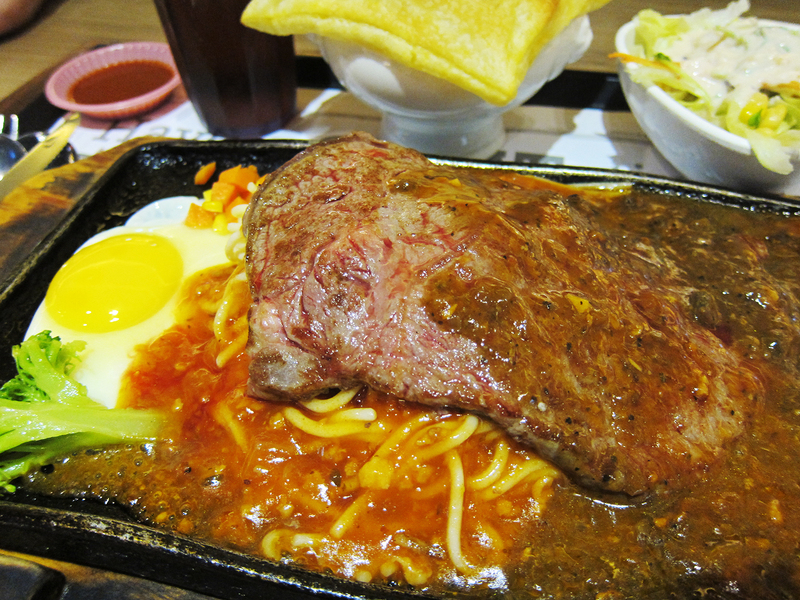 I spotted Ichiran Ramen right next to Don Quixote and despite the queue, I went ahead to try it as it’s highly raved. But to be honest, it’s nice but not fantastic. And to be honest, it’s was a little rush for the order that I kind of got confused and ended up with no Char Siew. Sad die me. 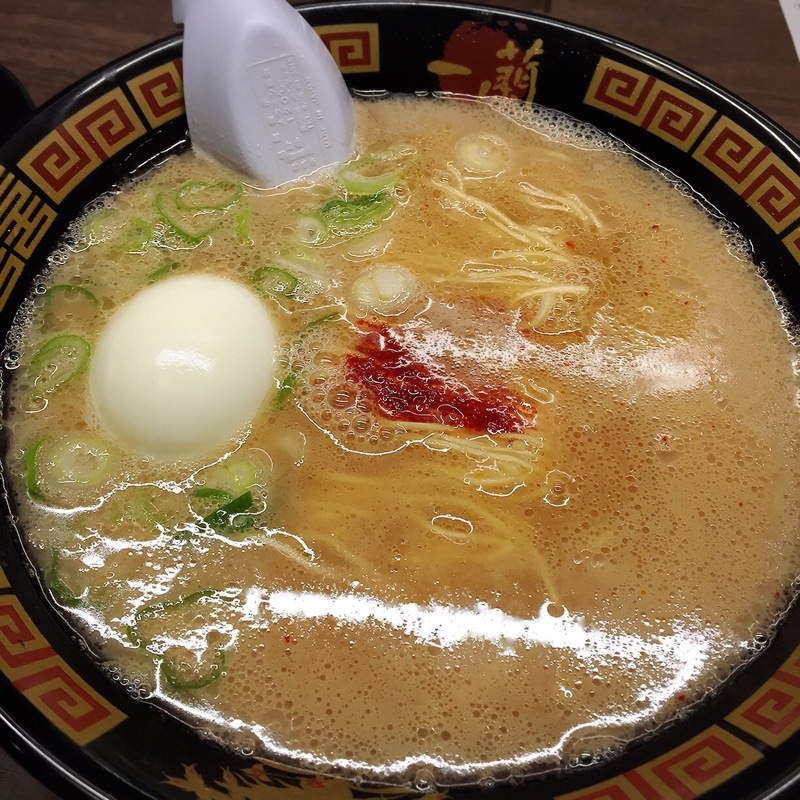 >< But it’s ok, I had one of the best ramen the next day in Kyoto which I shall talk more about in my Kyoto post. 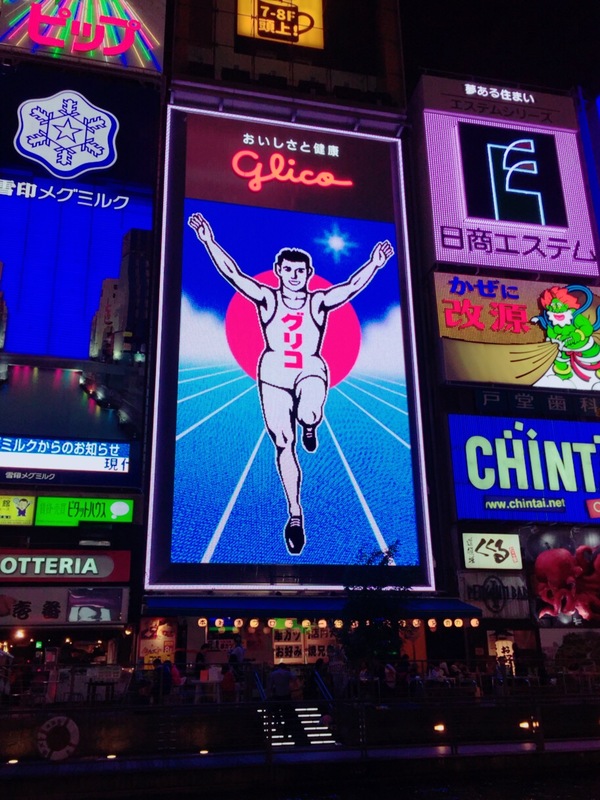 You can’t go to Osaka, Namba and not take a photo of the Glico man along with the many signboards. Shisaibashi shopping street is just next to where the Glico man signboard. Sadly, it was already pretty late when we are there so most shops are closing. Still, we did managed to comb through a few drugstores and did some shopping before we head home to our Airbnb. Random super adorable pastries we spotted at the train stations while transferring to another line! Too cute! I ended up buying two small boxes of 3! This basically sums up my day in Osaka where I managed to cover some of the main areas like Kuromon, Umeda, Namba where Doutonbori and Shisaibashi is located. One thing that I would change is that I would have started my day earlier (I headed out at 8) so that I can enjoy more of Kuromon and Shisaibashi at it’s busiest instead. 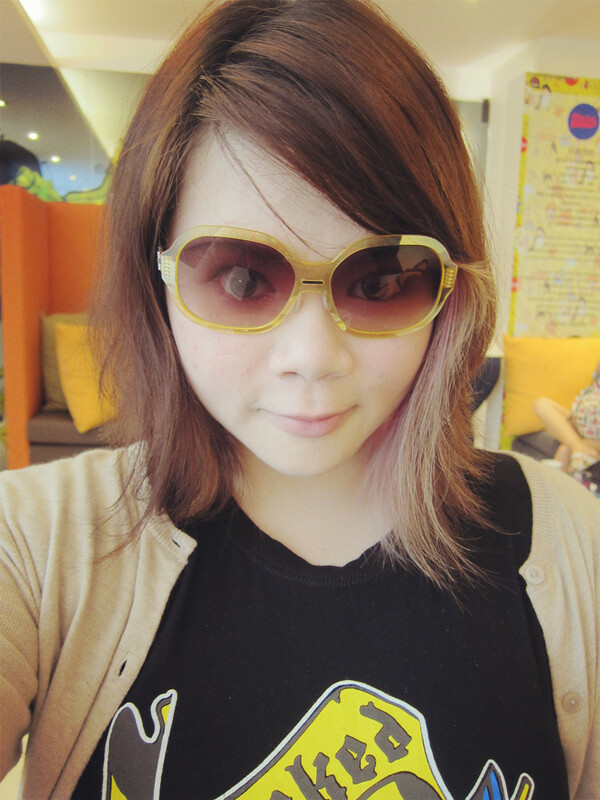 Finally I’m have the time to blog about the last part of my Taipei Travelogue. It’s going to be just a short post on the 2nd hotel I stayed on my trip and on Raohe Night Market. To be honest, my trip was not well planned. I have in mind a few places which I wanted to visit and the rest is just up to where my mum wanted to go. I wanted to head up to Jiufen but sadly the weather is not great so my mum decided against the idea. Oh wells, at least it was not like I’ve not been there so it’s not that bad. 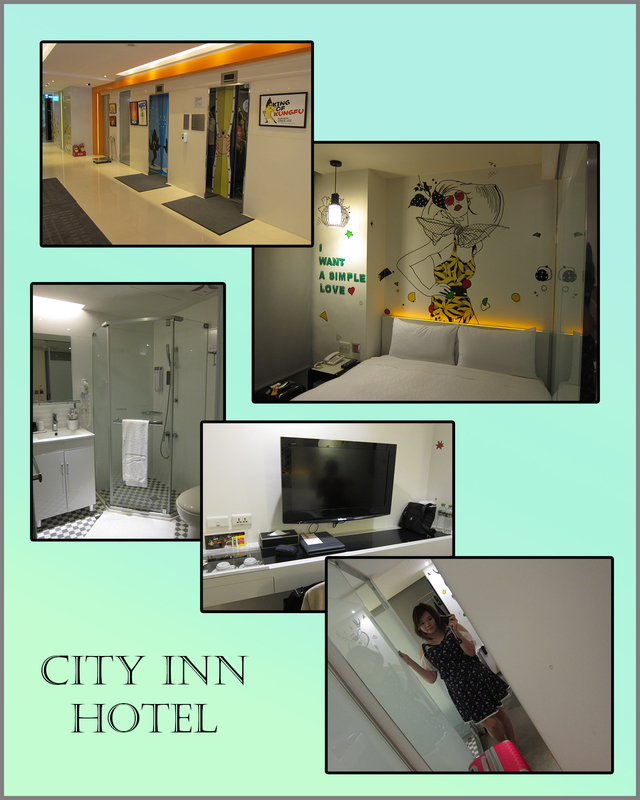 So I stayed at City Inn Taipei Station III for the last two days of my trip. I initially planned to travel to Taichung for the first two days of my trip but end up cancelling those plans and hence ended up staying at two different hotels in Taipei as City Inn was already fully booked when I checked the availability to extend my stay. I would say City Inn is small in terms of room size but more modern in terms of design. I love the full length mirror in the room! I stayed at City Inn III which is about 15 minutes walk to Taipei Main station. My mum and me settled our lunches there at the food court which is slightly expensive compared to the night markets but generous servings! 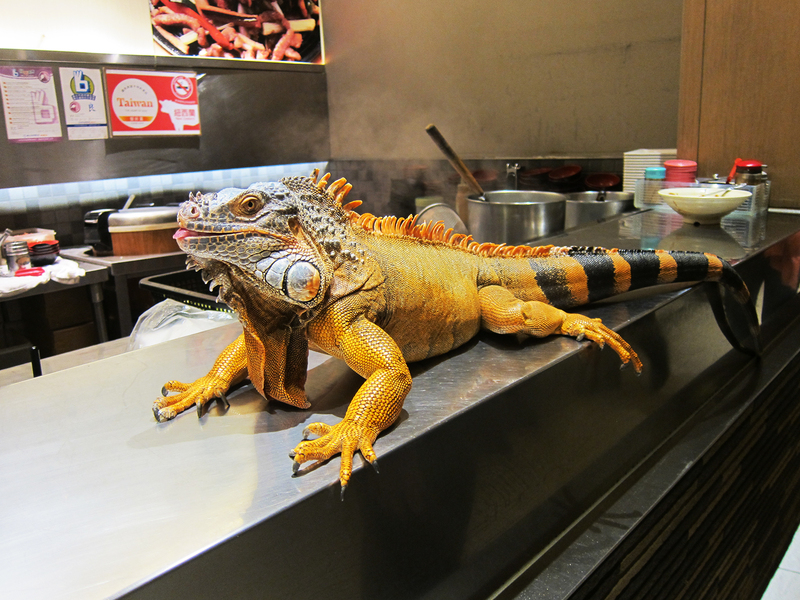 Spotted this Iguana/Chameleon which apparently is a pet of one of the locals. Caused quite a bit of commotion among the diners. Haha. I also went to WuFenPu but didn’t take much photos as it was drizzling and there’s just too much to see. Nearest train station to get to WuFenPu and Raohe Night Market would be HouShanPi station. 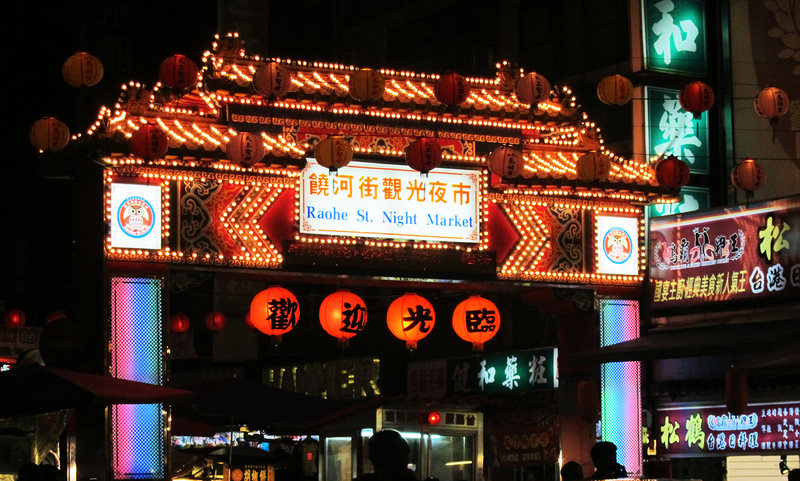 Getting to Raohe Night Market to WuFenPu is about 15-20 minutes walk. Raohe Night Market is not really huge but it’s one of the best one. Loads of yummy local delicacy and other random things to see. 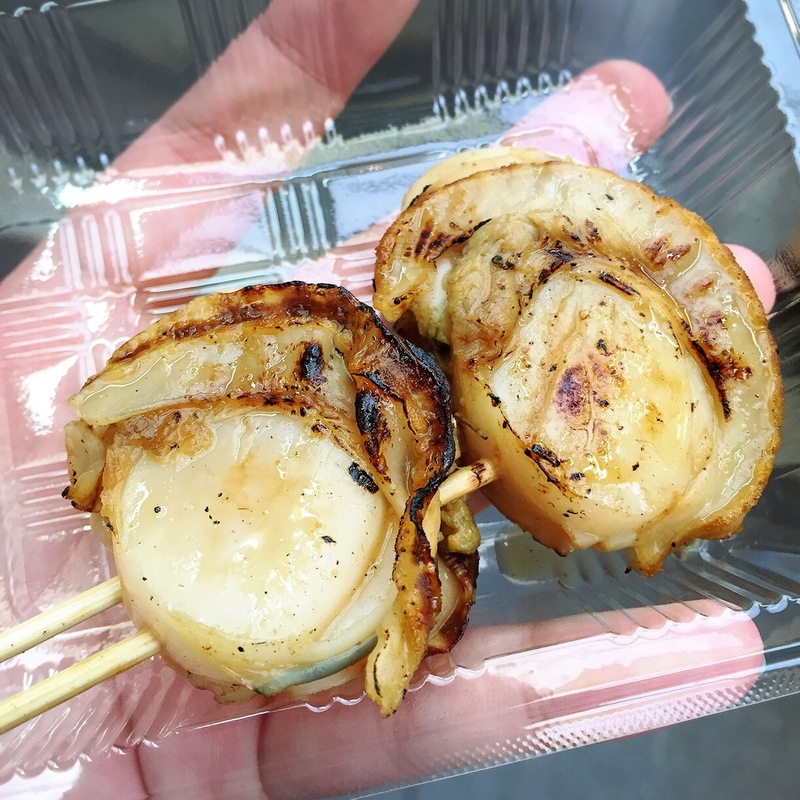 This is a stall selling mini Doriyaki! Super cute! 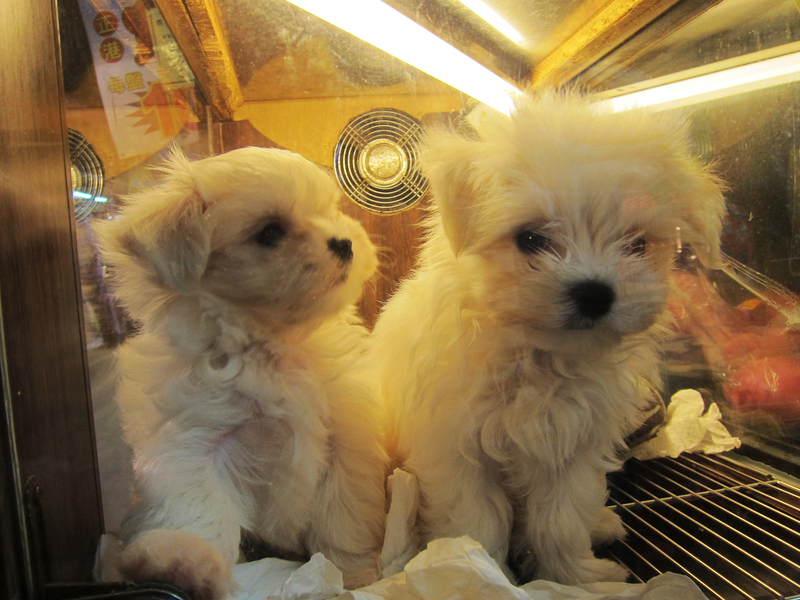 You can see pets for sale and I can’t resist checking out these cuties! The look on this French Bulldog is so cute and grumpy!! 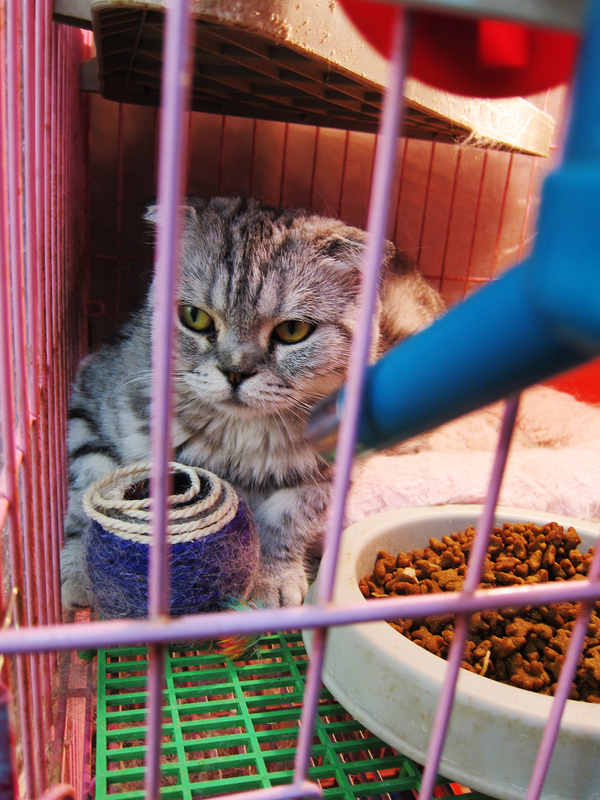 No kittens spotted but there’s this beautiful Scottish Fold. Hopefully it found a forever home already. 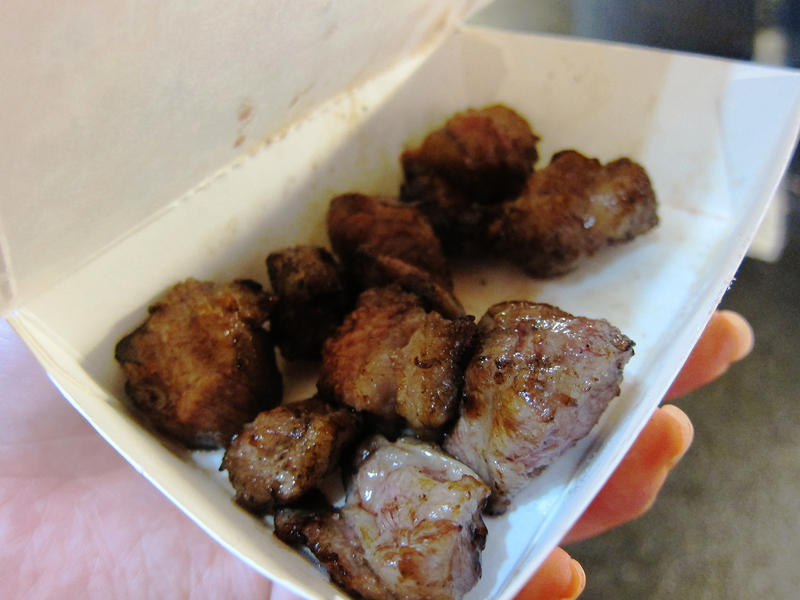 For beef lovers, you must try this flamming beef cubes at Raohe! 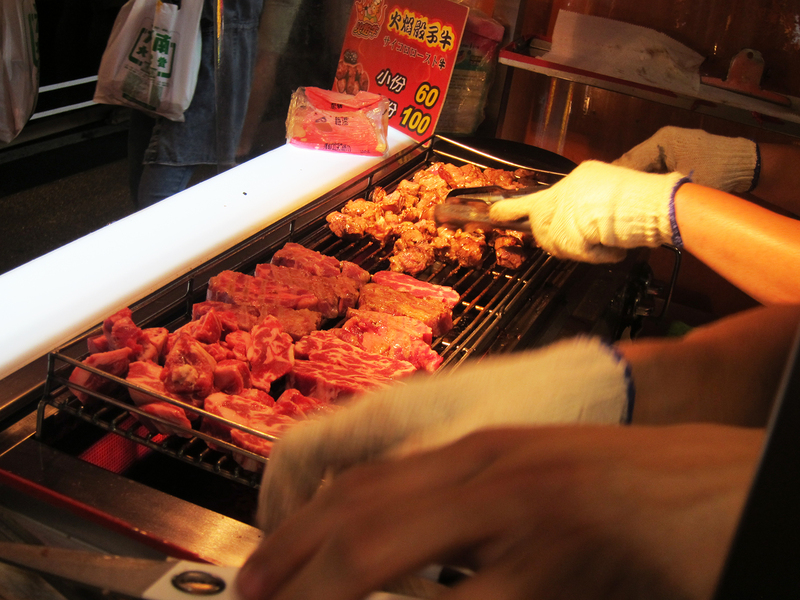 Good quality beef at night market price!! Melts in your mouth I swear! I super regret getting the small sized one, gone in a few mouthfuls. But it’s really so good that I’m salivating while typing this. Haha. I love seafood and clams is one of my favorite. 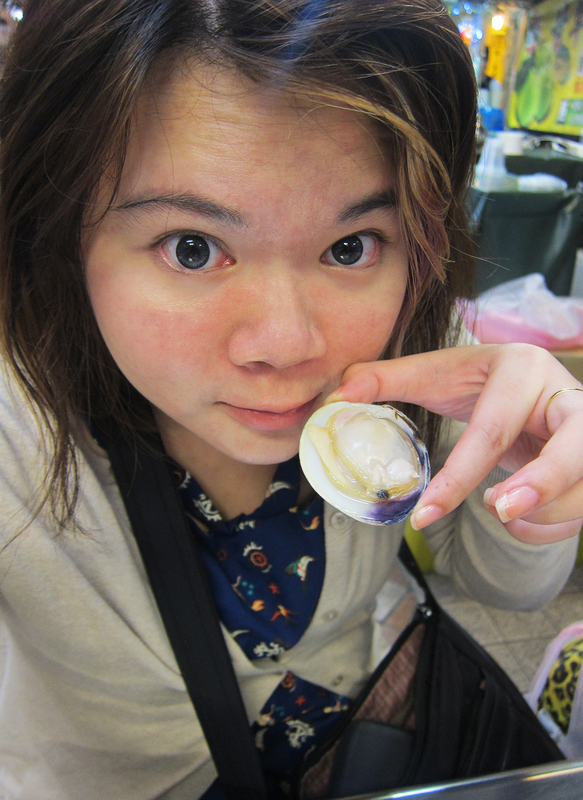 So though it’s quite expensive at NTD150 if I’m not wrong for 6 clams, I still wanted to try it out. And I must say it’s really worth to pay that amount for the fresh juicy clams! Check out the size of the clam! 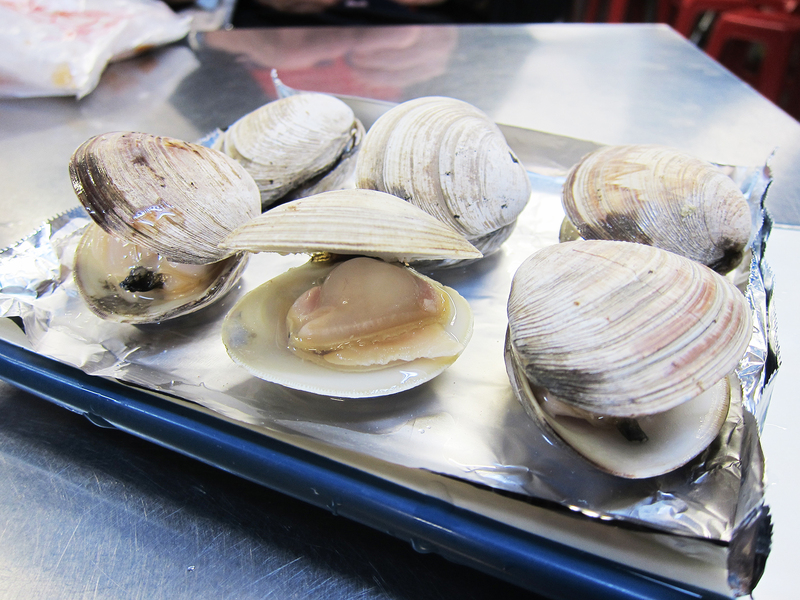 It’s definitely bigger than any average clams you find in Singapore. And I’m going to end my travelogue here pretty abruptly with a selfie I took at the hotel lobby before heading to the airport. The hotel helped us arranged a private driver to the airport at only NTD450 I think which is pretty reasonable. We had to take the car because we bought way too much stuff and gain one new huge luggage. Haha. Read my previous post on Kiko’s Diner here! When planning for my Taipei trip, I know that there’s several cafes I wanted to visit. But as I’m travelling with my mum who’s not a fan of such cafes, I know I had to compromise. Initially, I wanted to visit the popular Hello Kitty Sweets Cafe for the cute interior but I know for sure my mum will complain because reviews states that the food there is not good at all. Just nice, I stumbled upon Calvin’s photo of Kiko’s Diner. I looked through reviews online and I decided that I will visit it! Because not only it has Hello Kitty, there’s also other Sanrio Characters! This is how the cafe looked like from outside! It it not the cute, sweet, pastel kind of decoration at Kiko’s but instead a more funky, casual, westernized design. Which makes it different from the usual cute cafes I think. Wall Mural of the Sanrio family! Hello Kitty with Chef hat! Very spacious and I liked the open kitchen concept. They have cute and stylish wall stickers all around! They have a dinning booth area and it’s Little Twin Stars! How cute is this chair! Art paintings of the Sanrio characters in a different feel. Kiko’s Diner served mainly American Style food. They have brunch menu too! Sanrio Characters! This is usually placed outside the cafe but I think they brought it in as it was raining when I was there! Cute menu in the form of a newsletter-ish template. Prices are reasonable, not too expensive. The staff will explain the menu to you before you order, so you won’t be confused. You can even customize your own pizzas at Kiko’s. Ordered a Bacon and Ham Omelette with Toast for The Mum. Served with fries and salad. I ordered the Signature Loco Moco. It’s basically a beef burger patty with cheese served with sunny side up, rice, fries and salad. The beef patty is really good I must say! Look at that perfect sunny side up! Also ordered a cafe latte to warm myself up in the cold weather. Love the cute mug! It’s available for purchase! The Mum is too busy to take a photo with me. But I’m glad The Mum is happy with the food. Of course, bill is on me. LOL. This is way too cute! Gold statue of Little Twin Star in the washroom!! Cute signage on the door! I did not add on any effect, that’s the actual mirror with some filter film! Cute My Melody wall art! Yes, I took several of the napkins and name cards back as keepsakes. Too cute! #firstletmetakeaselfie with that Hello Kitty on that pillar. If I’m not wrong, I spent a total of NTD780 for this meal, which is about SGD34. I feel that it’s reasonable for two pax. You’ll probably spend more for a similar meal in SG. Tote bags and coffee mugs available for sale! But it’s a bit pricey in my opinion. Sadly, I was on a budget if not I will get the tote bag! I would recommend this cafe to Hello Kitty lovers and Sanrio lovers! If you’re a kitty fan but your friends are not, I’m sure they won’t complain if you bring them here! There’s a time limit of 2 hours so do take note! 用餐时间有两小时的限制,所以大家要注意哦! 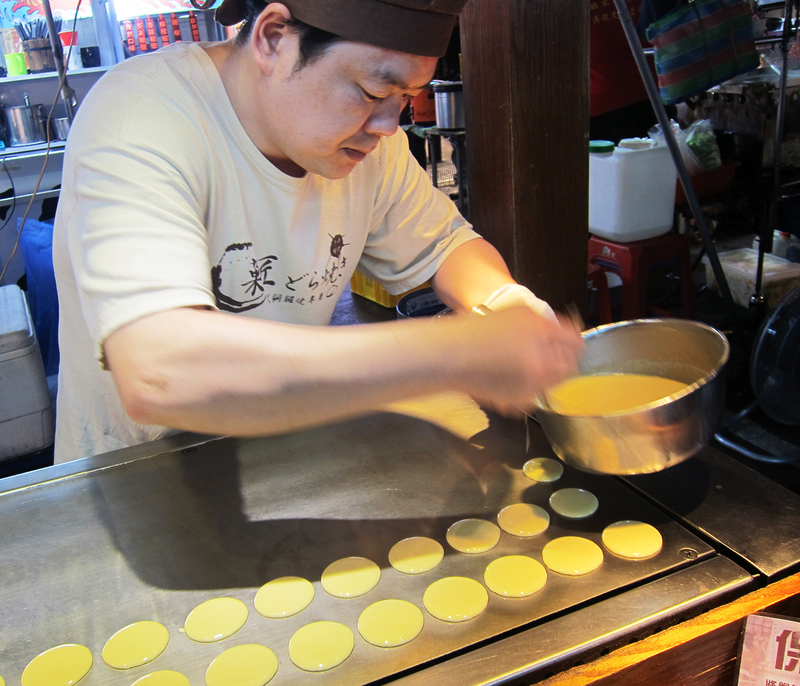 Read 1.1 and 1.2 of my Taipei Travelogue if you haven! 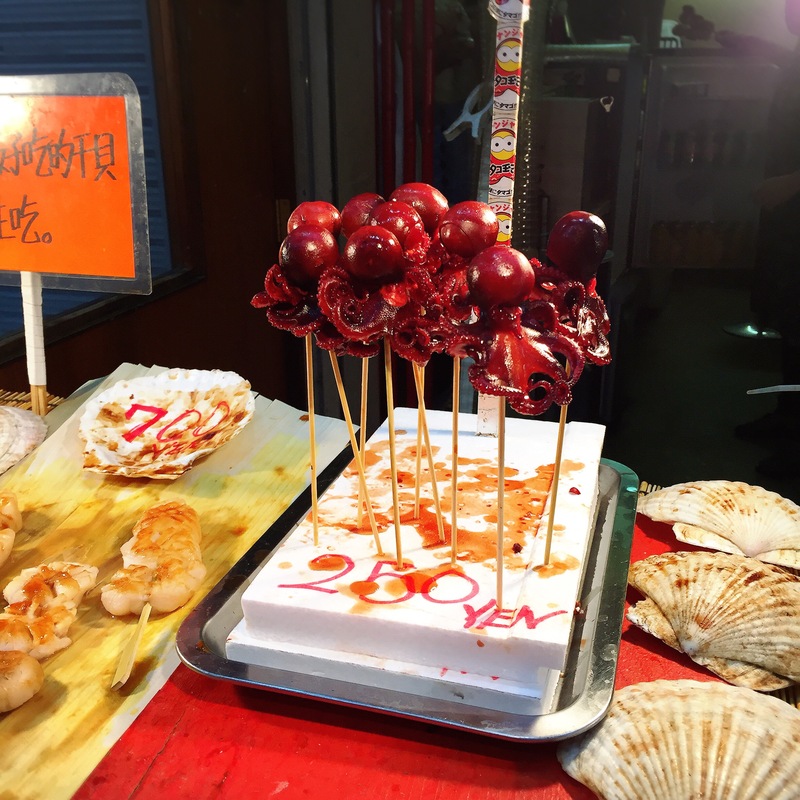 Part 2 of my Taipei Travelogue! 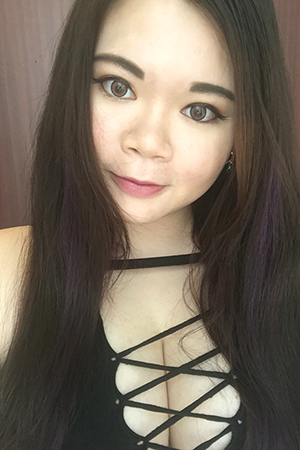 Travelling all the way to Dan Shui and back for ShiLin Night Market! Dan Shui is the end of the metro line and it takes about 40 minutes to an hour from DongMen station where our hotel is located. And of course, Shilin night market is located at Jiantan station! Selfie first with The Mum before heading out for the day! On the Metro towards Dan Shui. It’s a pretty long trip but the scenery along the way are worth it! The Mum in front of Dan Shui Metro Station. It’s essentially an old brick building transformed into a Metro station. A better view of Dan Shui Metro station! The bus terminal is at the other end. As it was raining, we decided to ditch the idea of heading to the famous Yu Ren Ma Tou and just explore the Dan Shui Lao Jie. I found this shop selling the famous Taiwanese Snacks in form of HELLO KITTY! Must take photo with the Kitty Mascot and even made The Mum did it. Hahah. Look at her expression! It’s a pity that it was raining and was pretty cold. However, the view is still breathe-taking in real life. Must have a selfie with the view. We stopped at this old look old point area to snap some photos. It’s actually near the Fish Ball Museum. Yes, there’s a Museum on Fish Ball in Dan Shui. Peace* I looked fat cause I was feeling super bloated from PMS-ing. Sandals are first day buys from XiMenDing! I did mentioned it was raining and super cold but one cannot not eat the super tall ice cream cone! I opted for the shorter version as I really don’t think I can finish it. End up I can’t even finish the short one. It’s for NTD30 if I didn’t remember wrongly. They have this other snack, which is the Octopus Tempura which I love!! After a whole day of shopping at Dan Shui, we proceeded to our first night market of the trip. Shilin Night Market! This is just the outside and there’s many food stalls selling local Taiwanese delicacy. My first buy at Shilin is this Prince Cheese Potatoes!! Have seen this at many variety shows and I can finally taste it for myself! Long queue but the guy is pretty efficient. They will take your orders first while you are queuing! This is really some cheesey goodness! It is really very delicious and you wont be sick of eating it despite it being mainly starch(potatoes) and cheese. The cheese is the nacho cheese kind. Mum saw this cute Mascot of a Fashion Brand and asked for a photo. How cute! Another must eat when in Taiwan. Mango ice! This is actually Mango Snow Ice with Mango Ice Cream. Very fresh mangoes and this is NTD140 I think. When at Night Market, beware of the fruit sellers. They like to kind of cheat tourist money. We ended up buying a packet of mangoes which is really nice I must say but for NTD300 which is about SGD 15. They charge by per 100 gram despite they just stating each fruit is about NTD50-60. Not say cannot buy, but don’t end up buying too much. We could not finish the mangoes in the end. As I bought Pig Blood Tofu Soup and Smelly Tofu to eat back at the hotel. Ending Part 2 with a photo of me with the yummy Mango Snow Ice! Read Part 1 here if you haven! Finally, I managed to sort out and edit my photos taken during my Taipei trip in May. So here I’m jotting down my travelogue! Will be blogging in both English and Chinese for this Travelogue! Instead of blogging by days, I’ll separate it into parts as this is really a very laid back trip with impromptu itinerary. Photo with the Mum before entering the departure hall! We are taking Scoot to Taipei, I managed to grab tickets at $180++ each with return check in luggage. Reached Taoyuan Airport at about 6 am. However, the counter that sells data sim cards only operates from 8 am. I bought the 5 days data plan at NTD 300. As we had some time to kill while waiting for the counter to open, we bought some drinks at snacks from the convenience store! I miss that milk tea! Charging ports are available at the airport! This is a huge life saver! After getting the data card, we proceeded to buy tickets for the bus ride to Taipei City. Tickets are at NTD 125 each and intervals of the bus is about 15 minutes for the bus company I bought from. The bus is pretty spacious and comfortable, I even took a short nap. The ride itself is about 45 minutes to an hour and drops at Taipei Main Station. The metro at Taipei is pretty easy to understand though it might get confusing with the many lines. And also the fact that alternate trains ends at different places. So be sure to look at the signs before boarding! The tickets are in forms of plastic coins like in Bangkok! Those are the single trip tickets. You can buy the Easy card similar to our Ez-link. The Mum and me decided to just stick to buying single trip tickets as we are not going to that many places. The 5 days card at NTD 700 each might be more expensive that paying per trip. Reached our hotel at about 9 am plus and the kind hotel manager allowed us to have breakfast while waiting for check in at 12 pm. We grabbed a bit and went to roam around the streets nearby. Citizen Hotel is located near Dungmen Station! The room is a little dated but very comfortable and cosy and the toilet comes with a bathtub! We decided to head to XiMenDing after resting awhile at the hotel. Takes us about roughly 15-20 minutes from our hotel to XMD! Here’s a shot of the Mum posing at the entrance of XMD station. It is super crowded there! I’ve been to Taipei 9 years ago when I was 15 and stayed at XMD then. The streets remains the same like in my memory. Spot the cute heart shaped cotton candy! And the many many street food stalls! When at Ximending, this is a must try! The famed Ah Zhong Mian Xian! The queue is pretty long but quick. Condiments like vinegar, garlic and chilli can be added at your own preference. Unlike the oyster mee sua we have here in Singapore, the Ah Zhong version is the pig intestine mee sua. I find the taste pretty ok, nothing fantastic. The locals don’t really eat here though, we were told when asking for directions to the stall. Spotted Ah Mao! 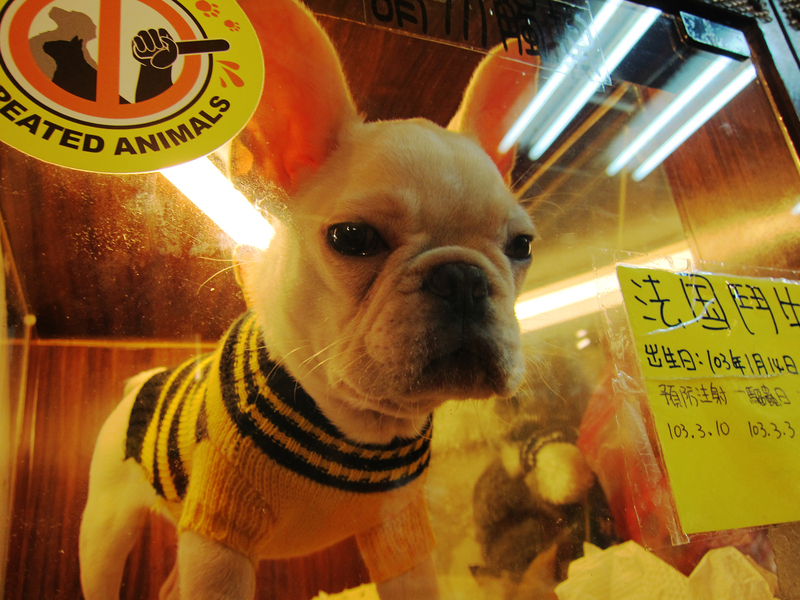 The famous dog at Ximending which is also the Mascot of the Risotto restaurant. I noted that there are two outlets and there’s another golden at the other outlet too! But I’m pretty sure this is Ah Mao cause he’s huge even though shaved. So cute! The Mum and I spotted this stall at an alley and we decided to eat here. Simply because they have two of the food items that I’ve been craving for! The prices are super affordable too! Ordered a Braised Meat Rice to fufill our carbo quota. This is not bad. Fried Smelly Tofu! I’ve missed this most from my trip 9 years back! I’m craving for it now while typing this. It’s crispy on the outside and soft and moist on the inside. And it’s not smelly at all, very fragrant! Spicy Duck Blood Tofu Soup! I love this! And it’s super fresh and Q! I ate this and the smell tofu almost everyday during my trip. Okay, ending my part 1 here with a photo of the huge bottles of Vitagen/Yakult drinks! The ones in Taiwan seems to taste nicer compared to the ones we have in Singapore!